It certainly helped the Warriors that Lutheran East, which won a state title in 2017 and was a state semifinalist a season ago, went just 2-for-26 from 3-point range. The Falcons, who finished 20-9, outrebounded the Warriors 35-27 and outscored Harvest Prep 18-5 in second-chance points. Harvest Prep got a 3-pointer late in the third quarter from Elijah Glenn to take a 43-32 lead into the final period. Lutheran East closed to within 44-36 with 6 minutes, 41 seconds remaining, but the Warriors got a three-point play from Anthony with 6:23 left to stretch the lead back to double digits. “We’ve seen tape where (Lutheran East has) shot it very well and we’ve seen tape where they didn’t shoot it very well at all,” coach David Dennis Sr. said. “Our plan was to let them shoot and that they’d have to make them. “In open gyms, (Robertson) just scores so much,” Dennis Sr. said. “That was a big 3 that he made.” Harvest Prep had trouble getting its offense, which has topped 80 points 19 times this season, on track against Purcell Marian. The Warriors return to the Final Four after beating previously unbeaten Wheelersburg in the Athens Regional Final. It wasn’t a masterpiece for Coach David Dennis’ team, but the 52-38 victory allowed Harvest Prep a sixth trip to the Schottenstein Center. The Warriors, who average nearly 83 points per game, were held scoreless in the 2nd quarter against the Pirates and led by only four points heading into the final frame, but used a 19-9 advantage in the game’s final stanza to secure victory. Junior CJ Anthony, who has a chance to be named DIII Player of the Year, led the Warriors with 16 points and classmate Elijah Glenn added 14. Harvest Prep carries 18 consecutive wins into Thursday’s semifinal matchup with Purcell Marian. The Warriors haven’t lost a game in the state of Ohio this season suffering a six-point to Kettering Fairmont in Jefferson City, Missouri and a one-point setback to Marquette Catholic in Hammond, Indiana. The Canal Winchester-based school, who is beating its opponents nearly 30 points a game, survived an acid test in the first-ever district finals held at the Columbus Convention Center outlasting a very good Columbus Academy team. On a night, where Anthony struggled offensively, senior Soul Hines would save the season drilling four three-pointers in the final nine minutes en route to a 21-point evening helping his team outlast its toughest tournament test to date. Anthony, who averages a shade over 25 points per game, is the only junior among the main eight-man rotation. The remainder of the lineup consists of experienced seniors especially in the backcourt with Hines and Brandon Beavers. Soul Hines made four three-pointers in the final nine minutes to guide top-seeded Harvest Prep over fourth-seeded Columbus Academy. The Warriors won their fourth Division III district title in six years. “They found a way to persevere,” Harvest Prep coach David Dennis said. Hines had 21 points. CJ Anthony added 14 points and four rebounds, and Brandon Beavers had nine points and five steals. The Warriors and Vikings traded baskets throughout the first half, with Harvest Prep taking a 36-31 lead into the break. Harvest Prep went on an early 8-0 run to start the second half before Academy’s Carter Warstler dragged the Vikings back into the game with 14 points — including four buckets from three-point range — in the third quarter. But Hines found his shot in the fourth, and his third three-pointer of the quarter with 2:25 left gave the Warriors the lead for good. Others receiving 12 points or more: Oregon Stritch 22. Milford Center Fairbanks 19. Worthington Christian 17. Seaman N. Adams 14. Cle. Hts. Lutheran E. 12. New Paris National Trail 12. How cleveland.com voted: 1. Archbold, 2. Canal Winchester Harvest Prep, 3. Cincinnati Purcell Marian, 4. Wheelersburg, 5. Lutheran East, 6. Ottawa-Glandorf, 7. Worthington Christian, 8. Columbus Academy, 9. Ashtabula Edgewood, 10. Oregon Cardinal Stritch. 5. Grandview 11-6 and Fairbanks, 17-2, 30. 11. Worthington Christian, 16-3, 33. 1. Harvest Prep (6) 13-2, 84; 2. Johnstown, 13-2, and Worthington Christian, 13-4, 62; 4. Columbus Academy, 12-4, 56; 5. Fairbanks, 15-3, 26; 6. Grandview, 10-5, 24. 1. Harvest Prep (6) 12-2, 84; 2. Worthington Christian, 12-4, 64; 3. Johnstown, 11-2, 60; 4. Columbus Academy, 10-4, 48; 5. Fairbanks, 13-2, 34; 6. Grandview, 9-5, 14. This learning experience had some sting to it. Madison High School’s boys basketball team got an up-close look at an elite Division III squad Monday night at the Flyin’ to the Hoop showcase and discovered one thing: The Mohawks are further away from being a D-III state contender than they thought. “It was just a whole nother ballgame compared to what we’re used to,” admitted Mohawks senior guard Mason Whiteman, who had nine points and three assists. “We’re used to controlling the pace of the game and playing how we want to, and we had to adapt to their style of play right away. Madison coach Jeff Smith tried to accentuate the positives after watching his team outscore the Warriors 36-30 after halftime. Grant Whisman stepped up in the spotlight and led Madison (13-2) with 20 points and five rebounds, hitting 8-of-12 shots from the floor. Matt Gomia added 11 points. Christopher Anthony, a 6-foot guard who’s regarded as one of the state’s top juniors, pumped in 32 points for Harvest Prep (11-2). “That’s our brand of basketball right there — quick, get up the floor, pressure defense all the time. That’s how we get to do what we get to do,” said Anthony, who has college offers from Air Force and Stony Brook. “They knew who we are, but they didn’t know what we were about, and I think we really showed them what we were about today. That was our big plan, to come in and show the world that we can take on anybody. Harvest Prep absolutely sizzled offensively in the first half. The Warriors scored 24 points in the first period and 25 more in the second stanza, shooting 74.1 percent from the floor while burying 9-of-15 bombs from beyond the arc. Anthony got to the rim at will and was a 3-point demon as well. He had three treys in the first five-plus minutes and added three more in the third period. Brandon Beavers (16) and Soul Hines (10) were also among Harvest Prep’s top scorers. The Warriors shot 61.5 percent from the field overall and tallied 25 points off 16 Madison turnovers. “We don’t shoot the ball all the time like this in a game, but we do shoot like this in practice,” Dennis said. “So it’s nice to see what we do in practice come through to the game. To hold them to 20 points in the first half and play the way we did, I knew we always had that in us. Tonight, we showed it. The Mohawks went man-to-man after beginning the game in a zone. Nothing worked in the first half. “We were hoping when we started in the zone that we could match up better so we wouldn’t get screened, but we had to get out of the zone pretty fast,” Smith said. “We knew they shot the 3 well. We didn’t know they’d shoot it this well that early. Smith said he didn’t need to come down hard on his players at halftime. The Mohawks were unable to practice Saturday and Sunday because Madison’s campus was closed. Smith felt that had an effect on his team, which had a short shootaround Monday before heading to Kettering. Levi McMonigle had six points and six boards for the Mohawks, and Tristan Sipple added five assists. Whiteman and Whisman sank a trio of 3-pointers apiece, all in the second half. 1. Archbold (16) 11-0, 199; 2. Wheelersburg (3) 16-0, 160; 3. Anna (1) 12-0, 116; 4. Genoa, 11-0, 113; 5. Harvest Prep, 10-2, 101; 6. Brookville, 13-1, 72; 7. Cincinnati Purcell-Marian (1) 12-2, 67; 8. Ottawa-Glandorf, 9-1, and Sugarcreek Garaway, 12-1, 54; 10. Leavittsburg LaBrae, 11-1, 35. 1. Harvest Prep (5) 10-2, 84; 2. Columbus Academy (1) 9-3, 60; 3. Johnstown, 9-2, 48; 4. Worthington Christian, 10-4, 42; 5. Pleasant, 10-2, 40; 6. Fairbanks, 10-2, 30. Taking advantage of its opportunities to grow was paramount in the way the Harvest Preparatory School boys basketball team put its schedule together this season, especially when factoring in its league limitations. The Warriors are 5-0 in the MSL-Cardinal Division and have won their league games by an average of 46.8 points. One of those victories was a 90-40 rout of Zanesville Rosecrans, which was ranked ninth in last week’s Division IV state poll, on Dec. 22. Harvest Prep’s league game against Fisher Catholic on Jan. 12 at home was postponed because of bad weather and rescheduled for Jan. 28. Fisher Catholic received votes in the opening Division IV state poll. To help offset what could be perceived as a weak league schedule, Harvest Prep competed in the Joe Machens Great 8 Classic from Dec. 27-29 in Jefferson City, Missouri, and traveled to Hammond, Indiana, on Jan. 2 and 3 for a pair of games against opponents from Indiana. The Warriors, who are 9-2 overall and were third in last week’s Division III state poll, play a league game Friday, Jan. 18, at Wellington before continuing their non-league slate Monday, Jan. 21, by traveling to Kettering Fairmont to face Middletown Madison in Flyin’ to the Hoop. Wellington lost to Harvest Prep 81-52 on Dec. 8 but has a 1,000-point career scorer in senior Dallas Patrick, while Madison received votes in last week’s Division III state poll. The Warriors lost to Fairmont 73-67 on Dec. 29 in the championship game of the Great 8 Classic and lost to Michigan City (Indiana) Marquette Catholic 57-56 on Jan. 3. On Jan. 8 in a 95-24 league victory over Millersport, junior guard Christopher Anthony had 24 points, including three of the Warriors’ 16 3-pointers. Anthony has increased his scoring average from 20 points last season when Harvest Prep reached a state semifinal to 25 this winter. Senior forward Elijah Glenn is averaging 12.3 points, followed by Beavers (11.8), senior forward Andrew Tate (8.9), senior wing player Soul Hines (8.0), senior forward Raymond Robertson (6.5) and senior guard Avonti Duncan (5.5). Others receiving 12 points or more: Day. Stivers 39. Cin. Deer Park (3) 38. Cin. Purcell Marian 31. Middletown Madison 29. Oregon Stritch 29. Mantua Crestwood 20. Oak Hill 19. Cols. Africentric 16. Byesville Meadowbrook 15. Metamora Evergreen 15. Warrensville Hts. 15. Beaver Eastern 14. How cleveland.com voted: 1.Archbold, 2. Canal Winchester Harvest Prep, 3. Cincinnati Deer Park, 4. Cincinnati Purcell Marian, 5. Leavittsburg LaBrae, 6. Lutheran East, 7. Johnstown, 8. Wheelersburg, 9. Genoa, 10. Warrensville Heights. 12/17/18 − Congratulations to CJ Anthony for scoring his 1000th on Friday nights game. CJ becomes the second player in school history to score 1000 points. Please copy and paste this interview, and watch in it's entirety. Harvest Prep was overly dominant in their win over MSL-Cardinal rival Wellington on Saturday night. However, that was not the case early on in the game. Wellington came out fearless and were leading 16-14 at the end of the first quarter. Unfortunately, it was all downhill from there as Harvest Prep implemented a full court press that Wellington simply did not have the ball handlers to matchup against and Harvest Prep led 42-22 at halftime. After a plethora of turnovers forced by Prep’s sensational backcourt duo of junior CJ Anthony and senior Brandon Beavers, it did not get much prettier from there as Harvest Prep powered their way to an easy victory, 81-52. 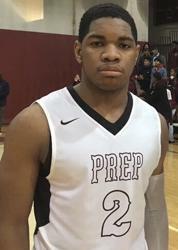 Prep was led by Anthony along with a career night from senior big man Elijah Glenn, who feasted in a huge matchup against Wellington’s junior forward Elijah Meredith. The big man Glenn's 20 point- performance featured a strong showing down low finishing at the rim, expanding his range out to the 3-point line, a no look pass out of the high post to an open cutter, and a euro step through the teeth of a Wellington defense which showcased fantastic agility for a player of his size. Wellington’s Meredith held his own as well on the offensive end, retaliating with 16 points. Scoring efficiently at the rim and flashing the ability to put the ball on the floor, even initiating the Wellington offense in the fourth quarter. The Jaguars also received solid performances from sophomore guard Marcus Stewart, who knocked down several tough jumpers scoring 12 points. Also in double figures was senior guard and four-year starter Dallas Patrick, who chipped in 10, playing with tremendous balance and pace off the dribble thriving on mid range jumpers. CJ Anthony (6’0 PG/ Harvest Prep / 2020): I was absolutely blown away by CJ Anthony on Saturday night. His production was impressive, but there were so many aspects of Anthony’s game that went well beyond another 20+ point outing. First, was the way Anthony scored his points. He was not overly ball dominant as many of his points were from defense to offense transitions. He also was able to knock down a three off movement along with knocking them down off spot ups. Anthony was still able to flash his ability to score in higher usage offensive action as well. He was able to attack off the dribble and finish strongly at the rim with ambidexterity. When Anthony attacks offensive off the dribble he is lethal as a passer combining passing vision with lightning quick decision making. Similar to his teammate Beavers, Anthony had a handful of steals in this game courtesy of a deadly full court press. However, a few of those steals came from his anticipation ability in the halfcourt. He is a highly intelligent defender as well that is always in the right spot. He drew a couple charges in the game and also made a fantastic rotation into the weak side corner on a spot up shooter that you usually see collegiate defenders miss, so seeing a junior in high school make it is very exciting. Anthony was five steps ahead of everyone on the floor tonight. He was able to score both on and off the ball which will add big time value to his collegiate appeal if this continues. As a prospect with two low-major Division I offers, many Division I schools are starting to trend toward larger ball handlers. Anthony is able to play that off the ball role as he can create seperation with his off ball movement (an incredibly hard skill to master). He has a solid first step, tremendous burst that will allow him to attack in the lane off spot ups or off ball movement, and the quick decision making on the move to still add value as a passer in a low usage role. He can also play a more ball dominant role where he could thrive in an uptempo system as a transition ball handler. Bottom line, coaches want smart players and smart basketball players always succeed and Anthony is as intelligent as they come. Brandon Beavers (6’2 G / Harvest Prep / 2019): Tonight Beavers took a backseat as well, but still had a strong showing on both ends off the floor. He plays with tremendous pace and is able to knife his way into the lane in spacious situations offensively. The name of Beavers’ game tonight was thriving in the ball screen game which should continue to be one of his more translatable aspects as he makes a transition into the collegiate game. He can score at the rim off screens and showcased some tremendous passing vision where he is able to find open spot up shooters once he gets into the lane. Defensively, Beavers was an absolute pest on the ball in every possible way. He showed off some active hands coming up with a few on ball steals that lead to easy transition opportunities. If Beavers can follow up on this fantastic performance and continue to add two way value, he should add to the one NAIA offer that he currently holds from in-state Shawnee State. Beavers should be viewed as a priority for NAIA and Division III programs moving forward, as he also features an excellent academic profile. Soul Hines (6’4 WG / Harvest Prep / 2019): The unsigned senior was relatively quiet scoring the basketball in this game. However, I think his offensive and defensive value were both displayed on the court tonight. Offensively, Hines has a relatively unorthodox jumpshot that is behind his head, but that high release combined with the elevation on his jumpshot makes it incredibly hard to contest. Combine that with his fluidity as a ball handler and his soft shooting touch and you see Hines’ translatability in the future at the college level. He could be deadly curling off screens and getting to his sweet spots from mid range attacking closeouts with one to two dribble pull ups. Defensively, Hines’ length and athletic ability make him very useful. He could be used as a point of attack on-ball defender that could really irritate smaller guards or wings on the ball. Coaches that want to implement a zone could also find value in Hines with a long wingspan at the top of a 2-3 or 1-3-1. 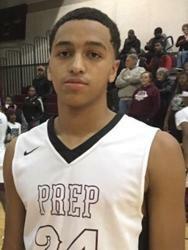 12/9/18 − HARVEST PREP 81, WELLINGTON 52: Christopher Anthony (22 points) and Elijah Glenn (20) led the way for host Harvest Prep (2-0, 1-0) in an MSL Cardinal win over Wellington (1-3, 0-1). The Warriors outscored the Jaguars 28-6 in the second quarter to take command. With the win over Fisher Catholic, our football team has clinched their 5th consecutive league title. Congrats to Coach Smith, his staff, and all the player's for their hard work. All Glory goes to God. Da’Quan Owens-Johnson and Khalin Jackson first-half touchdown runs held firm as Harvest Prep (9-0, 5-0) remains undefeated in shutting down visiting Fisher Catholic (5-3, 2-3) in the MSL Cardinal. Congratulations again to the 2017-2018 cheerleaders! Please remember that there is a MANDATORY cheerleader/parent/guardian meeting on Monday, June 12, 2017 at 6:30PM. and practice begins Tuesday, June 13 at 6:00PM. God Bless and GO WARRIORS! 3/31/17 − Tonight's Baseball and Softball games vs. Berne Union have been canceled due to inclement weather/field conditions. 3/28/17 − Tonights MS Softball game vs. Rosemore has been canceled due to weather/field conditions. The makeup date for this game will be determined at a later time. Practice will be in Murphy Gym from 2:30-5:00PM. 12/13/16 − ATTENTION: Middle School Boys Basketball Practice is canceled today due to inclement weather. If you’ve attended HPS football games this year, you’ve experienced the Warriors’ potent rushing offense, with the offensive line freeing junior running back Daniel Bangura for big yardage. What you might not have realized is that Bangura has more rushing yards than any other high-school running back in the nation – nearly 3,000 yards entering the Oct. 28 season finale at Fairfield Christian Academy. Now, the nation knows. One of the nation’s largest newspapers, USA Today, featured the Warriors and Bangura on its website this week. Click here to read the story! Join us in congratulating Daniel Bangura and the HPS football team, led by head coach Milan Smith, for an outstanding achievement that has brought acclaim on a national level to the entire school. WARRIORS – YOU KNOW! 12/7/15 − What a year this team has had! Finished with a 9 win season! Won the Mid-State League Two years in a row! We are proud of you Coach Smith and the HPS Varsity Football Warriors. You have laid the foundation for success for many years to come! The Harvest Preparatory Athletic Program, grades 7-12, should provide a variety of experiences to aid in the development of favorable habits and attitudes in students that will prepare them for adult life in a democratic society.